Fun heart in circle soap with wording 'True Love'. Packaged on a bed of shredded gift tissue and presented in a gift box. 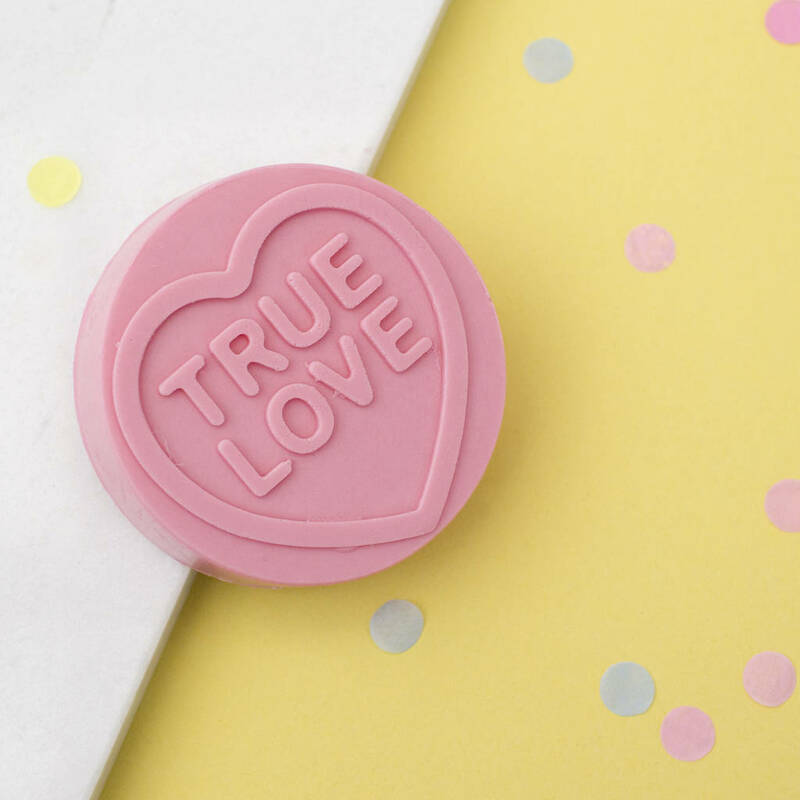 Perfect for your 'True Love'. Makes a fun washtime treat. 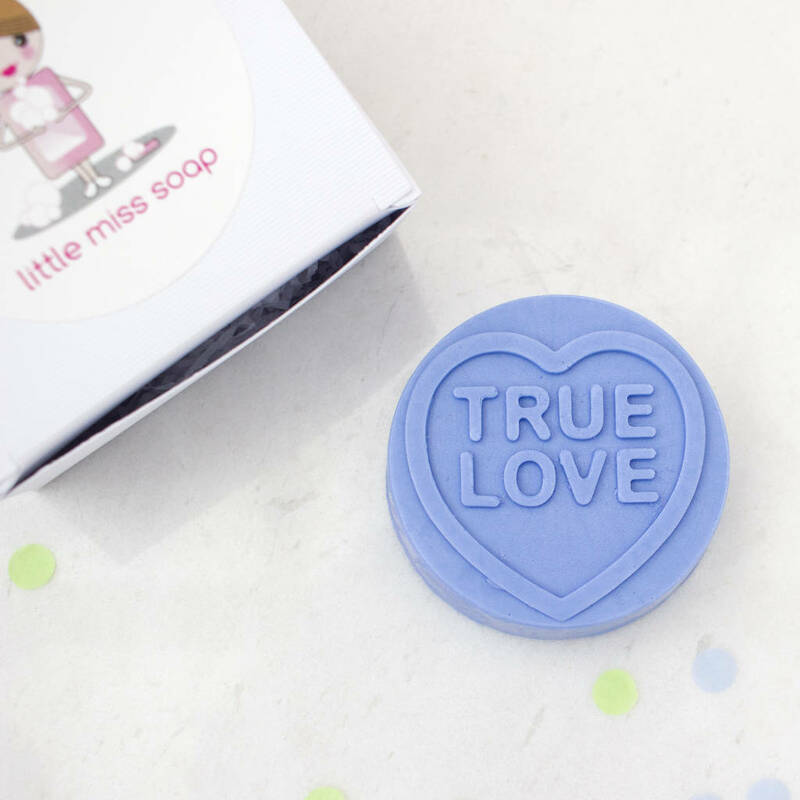 This Little Miss Soap product is made with SLS Free Soap Base which has a high glyerine content giving great moisturising and a nice feel on the skin. 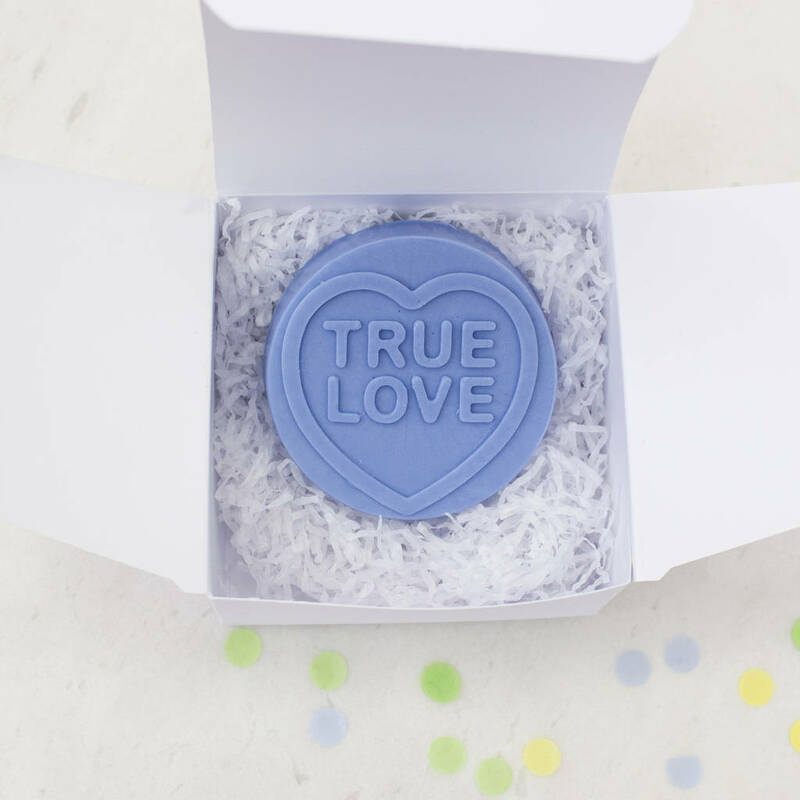 To use this soap, just add water, lather up, to create soapy bubbles while you wash.